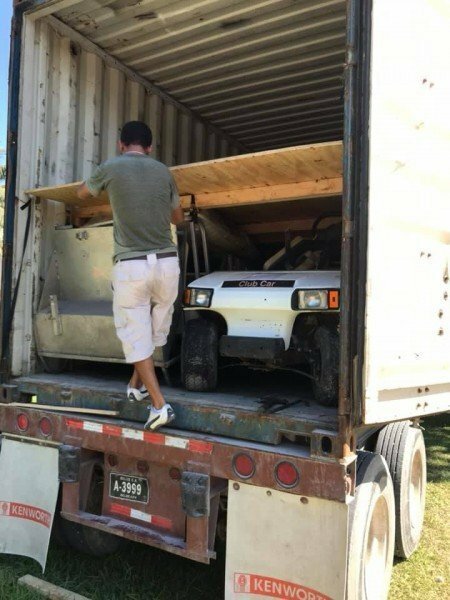 Another batch of brand-new golf carts (18) was seen arriving on the island on Tuesday, March 26th inside shipping containers. 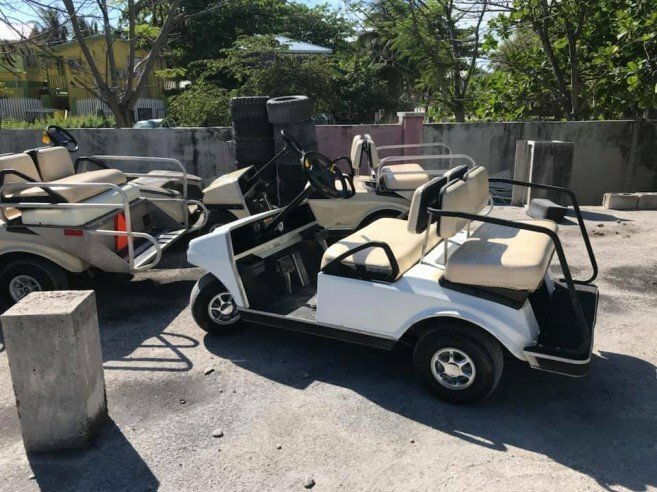 With the ongoing issue of traffic on the island, residents are increasingly concerned that these additional golf carts are an unnecessary addition to the saturation of motor vehicles on the island. The golf carts are allegedly for a rental company in town, which contradicts what Mayor Daniel Guerrero stated in November 2017. According to the Mayor, no more golf cart rental companies would be allowed to increase their fleet. 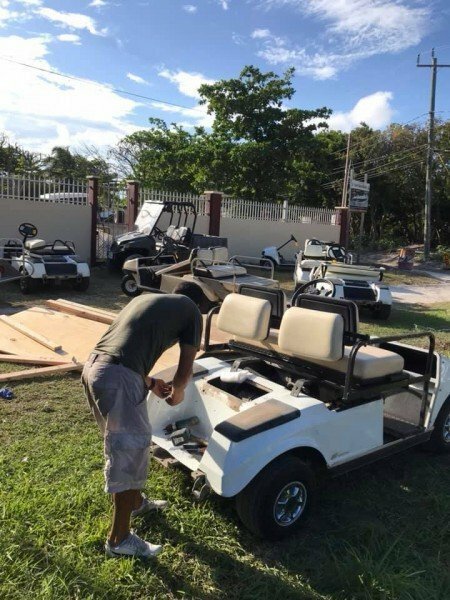 In a social media post, the alleged proprietor spoke of his accomplishment and the delivering of the golf carts. The San Pedro Sun reached out to the office of Mayor Guerrero, but he was unavailable for comments. Back in 2017, when questioned about new carts arriving on the island, the Mayor explained that the carts were not for rentals, but rather for dealerships. Guerrero explained that his administration was not issuing permits for new golf cart rentals, but current companies could bring additional carts in case they needed to replace used or old ones. “What is happening is that some of these companies are now becoming dealerships. Thus they are now selling golf carts, and once someone has a dealership license, they can bring in golf carts for selling,” Guerrero claimed back then that this is how private owners obtain their carts. However, islanders have reported that their applications for personal golf carts have been denied. The San Pedro Traffic Department (SPTD) was questioned regarding the importation and approval of personal golf carts. They stated that the Ambergris Caye Traffic Control Committee (ACTCC) vetoes these before they are approved. The five-member group includes three members from Belmopan City and two from Ambergris Caye. Every week they meet to look at applications, and in the case for personal golf carts, these are screened thoroughly to meet all requirements for a permit to be granted. The San Pedro Sun was told that applications are denied whenever the ACTCC feels that the applicant is not fully qualified. The SPTD did not elaborate on the requirements. 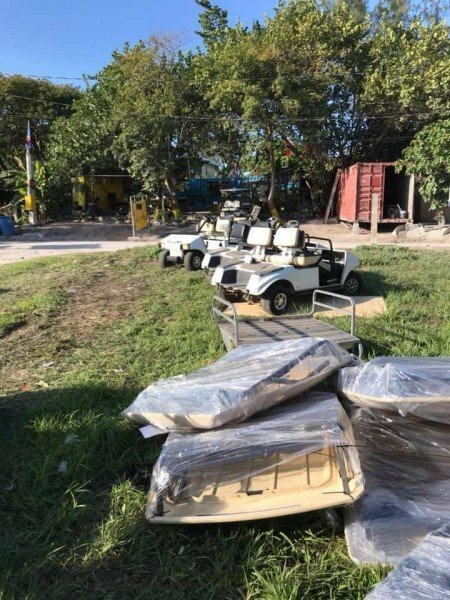 In the case of importing more golf carts to the island, the SPTD said that most of the current golf cart rentals have not completed their fleet and are still bringing in the remaining of the total approved to them. The SPTD assured The Sun that the 18 new golf carts are not for a new rental company, but rather for one of those companies that are trying to complete their fleet. They added that whenever they receive the documentation for a new shipment, the ACTCC will review it before allowing the golf carts to hit the streets. The SPTD admitted that they are concerned about the increasing issue of traffic on the island and will start looking at permits that have been issued. The plan is to check on those permits for golf cart importation that have not been used and perhaps have them canceled. The ACTCC was appointed in January 2017 in an attempt to monitor vehicle permits and new arrivals to Ambergris Caye. However, islanders are indicating that since then, the number of vehicles on the island have dramatically increased, making the streets congested and unsafe.